"This is an absolute and true social crisis in the IDP environment. And it is horrible." 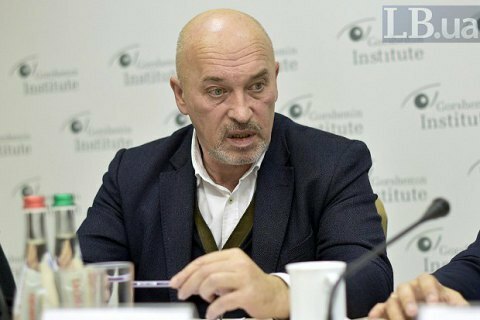 Deputy Minister for Temporarily Occupied Territories and Internally Displaced Persons (IDPs) Heorhiy Tuka has said that there is an absolute social crisis in the IDP environment because of the lack of trust in elections. "For two years, I have been personally engaged in restoring the voting rights of internally displaced persons. This is extremely important. But the recent survey figures are unpleasant, to put it mildly. Some 31% of our IDPs do not know in fact that they can take part in elections in Ukraine. It is difficult to imagine how this could be possible," Tuka said at a news conference, according to an LB.ua correspondent. Another reason for concern is that 24% of IDPs do not trust public opinion leaders, neither they have any trust in elections at all, according to the June 2018 survey. "This is an absolute and true social crisis in the IDP environment. And it is horrible," he said. He added that 16% IDPs do not know who to support in elections, 11% never voted and are not planning to cast ballots in the future. The survey among 2,400 respondents from all over Ukraine was held by the International Migration Organisation in Ukraine and the Ministry for Temporarily Occupied Territories and IDPs in June 2018. The survey revealed that 60% of IDPs were unemployed due to low pay, shortage of vacancies, age or IDP status.